- I announced the winner of my Episode VII rumor contest; go check out the comments for some hilarious ideas about what could happen in the sequels. - Her Universe posted my introduction piece for Year of the Fangirl. 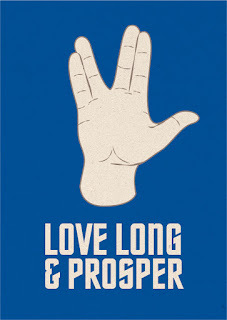 The formatting's a bit off, but you can read about me being a late bloomer and trace my path of geekdom. - And finally, I got to sit in on The Forcecast's Clone Wars roundtable Monday night to discuss "To Catch a Jedi." It was my first time on a Star Wars-centric podcast and I had fun (and rambled without making points). I had a fun time discussing the episode, Ahsoka's fate, Ventress, and. Go forth and listen if you'd like. 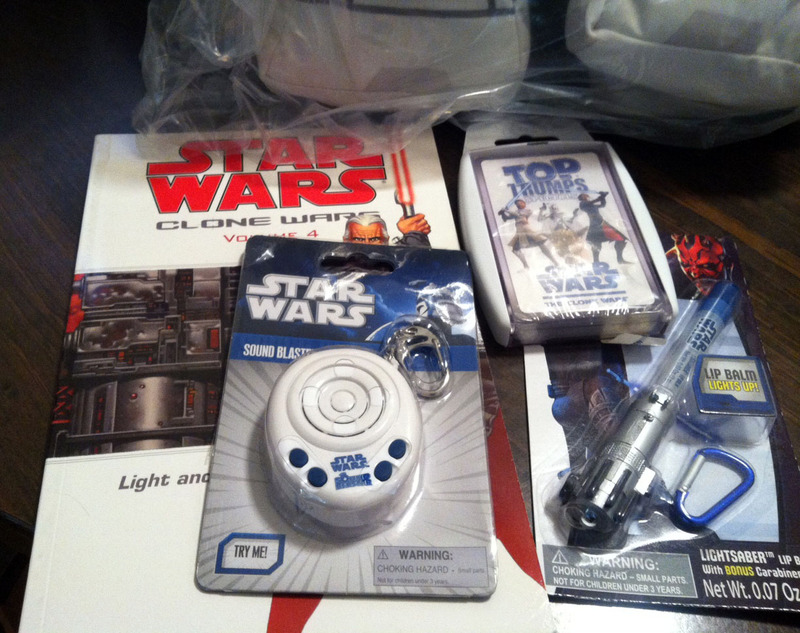 I believe all of this means I should watch a Star Wars movie tonight. If you've been around this blog for long, you know that I am very passionate about Her Universe. Ashley Eckstein's company that makes sci-fi apparel specifically fit for ladies does more than just add fantastic items to wardrobes across the nation - it brings geek gals together. It's a community. 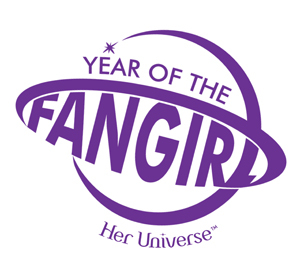 To help strengthen that aspect of Her Universe, Ashley is launching a fun project that I'm thrilled and flattered to be a part of - Year of the Fangirl. While attending conventions and interacting with people on sites like Twitter, I've come across a ton of fangirls who inspire me. 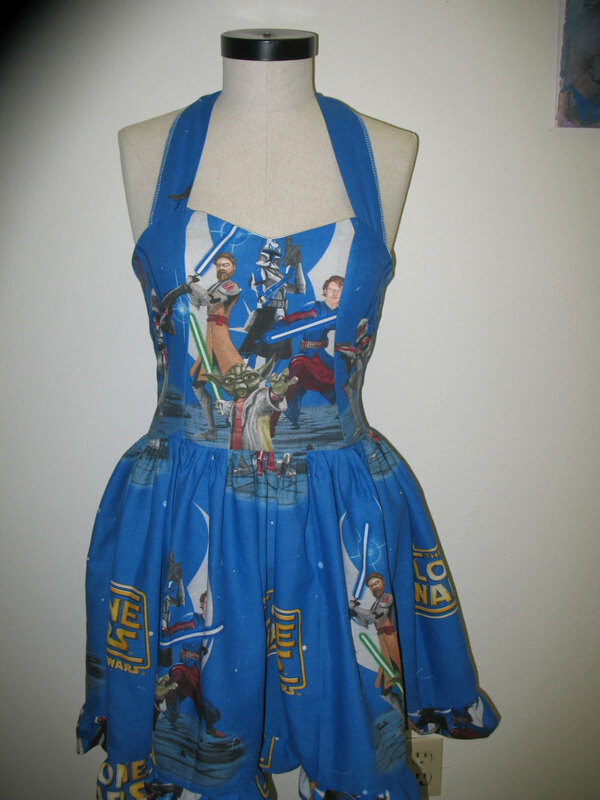 I know ladies who are amazing cosplayers, writers, and bakers of geeky cupcakes. I know a lady who applies her clinical psychology degree to studying comic book characters. 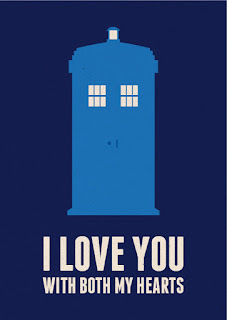 I know ladies who are passionate about their fandoms and sort of mentor younger girls. They all impress me and push me to keep pursuing my dreams. Yeah, it sounds cheesy but it's true!Year of the Fangirl will celebrate these women. "From day one, it's been very important to me to make Her Universe a positive and supportive community for fangirls," said Ashley Eckstein. "I've traveled the nation over the past 2 ½ years with Her Universe and I have been inspired by so many amazing women. There are several great outlets that highlight fangirl celebrities and pop culture news but I wanted to create a place where we will share the stories of everyday women who are proudly letting their geek flag fly! 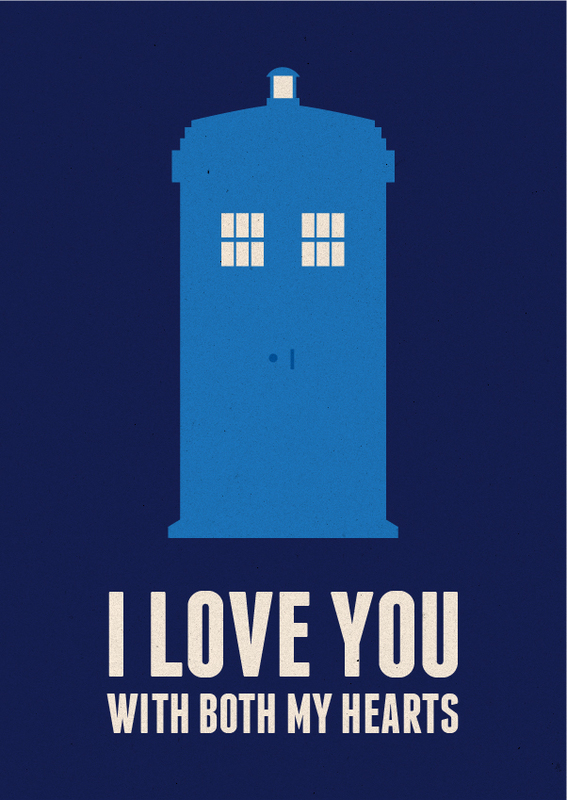 If she considers herself a fangirl, we want to hear her story!" 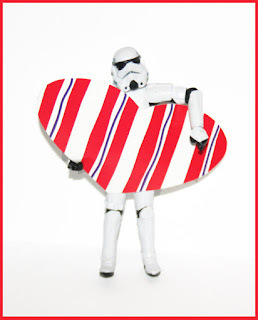 Though everyone can submit posts, a team of geek ladies will be constantly searching for girls to feature. That team includes myself, Tricia Barr, Victoria Schmidt, Erin Kelahan, and Lillian Skye. We are all super excited to be a part of this project! To learn how to submit information (either for yourself or another fangirl over 13), visit Her Universe! I look forward to reading about all the fangirls out there and I can't wait to meet more awesome gals at conventions this year! 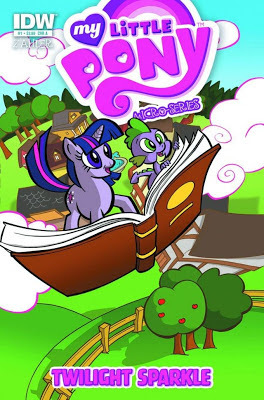 If you are a fan of comics or My Little Pony, you've probably noticed that IDW has been publishing a My Little Pony: Friendship is Magic series. It's wonderful. 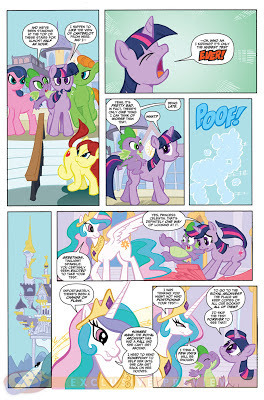 That run is at its third issue, but a new micro-series spotlighting each one of the mane six is out today. The first issue stars Twilight Sparkle in a tale about books, friendship, and it co-stars a curmudgeonly sort of pony that I adore. Also, I'M A PONY IN IT! See that yellow pony with reddish hair in the top left panel? That's me! Take note of the cutie mark. My pals Drea and Brian also appear in the same panel. Maybe their cutie marks mean something too. The comic was written and drawn by Thom Zahler, and I'm happy to be a part of it. I also like that I've appeared twice in comics now - once as a demon in the Angel Yearbook and now as a pony. It's the best possible combo. If you like ponies, go pick up My Little Pony Micro-Series featuring Twilight Sparkle today! Not because I'm in it but because it's cute and charming and funny. 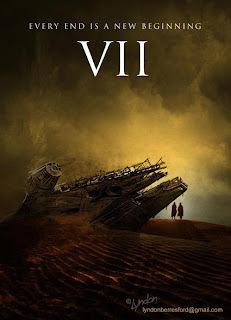 Rumors about the Star Wars sequels have been running rampant across the internet and even though I've been frustrated with the way they've been reported, I also find them to be entertaining. So I thought it would be fun for you guys to make up the most extreme possible rumors in order to win a giveaway. 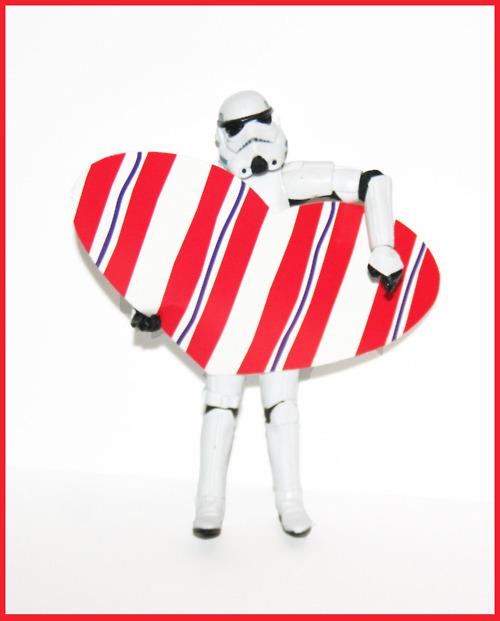 Step 1: Comment on this entry by 11pm PST on Sunday, 2/24. Step 2: In that comment, tell me the most outlandish thing you can about Star Wars Episode VII. It can be about the cast, the story, whatever. I will pick a winner on Monday, 2/25. I'm going to choose my six favorite rumors, assign a number to each, and then use a D6 to decide the winner. And apologies, but I need to keep it to US residents only. Stop. These are the accessories you've been looking for. 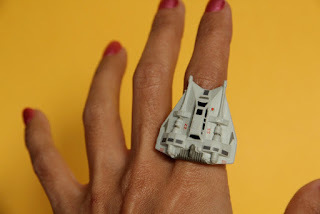 If you need some Star Wars jewelry that isn't quite like anything you've seen, then point your ship to Jennifer Landa's Etsy shop. Rockets and Rainbows features a fun mix of toys, bright colors, and cool jewelry designs. 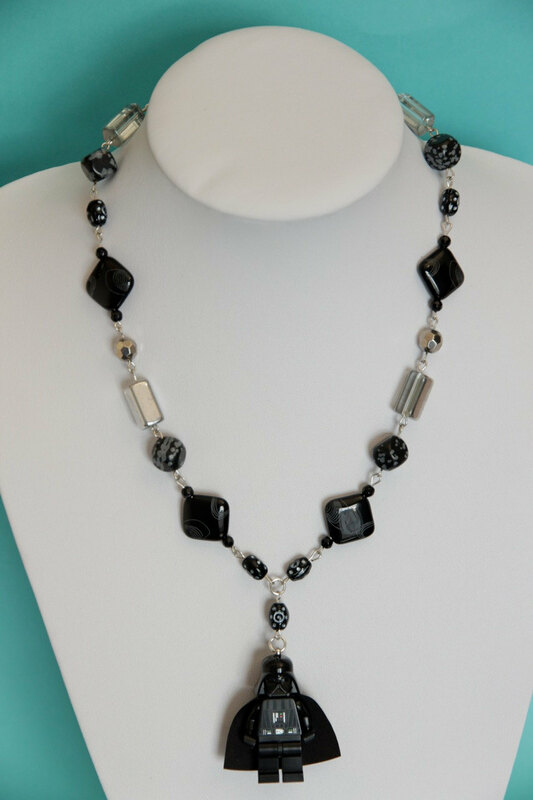 You can get necklaces, earrings, bracelets, and rings. I bet each piece will make you smile, and you'll start thinking about outfits you can build to go with these accessories. 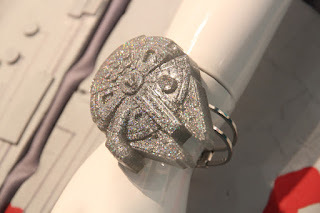 This is one of few times I think LEGO minifigs completely work in jewelry! R&R has several necklace designs with them (including Bossk) and great dangly but lightweight earrings! 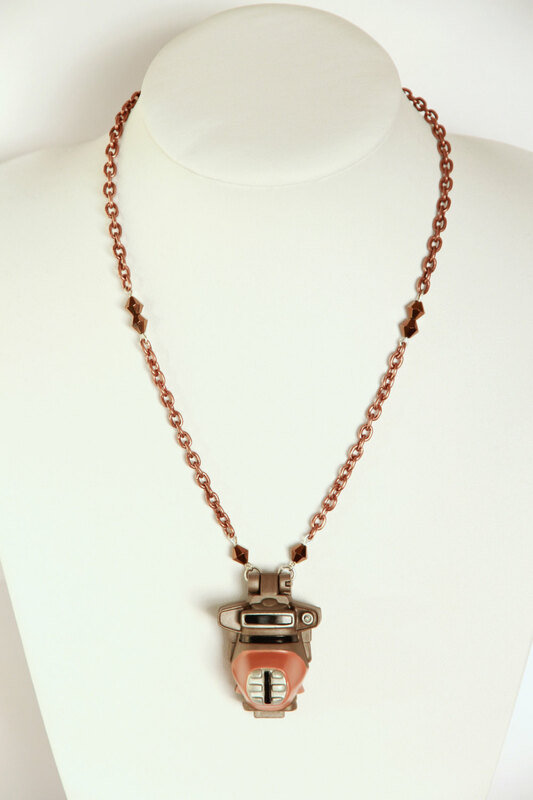 These necklaces are my favorites! 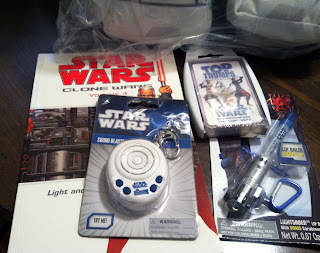 The centerpieces (Boushh on this one) are actually part of the late 90s Micro Machines line. The head opens to reveal a mini scene and figures. Yes, it's awesome. She has several of these. And bam. This is the best way to wear a snowspeeder. Go check out Rockets and Rainbows now! It's been a busy twenty-four hours for asteroids and meteorites. The 2012 DA14, an 150 feet asteroid, whizzed by the Earth today; it was just 17,200 miles away. Close enough for us to observe and learn but thankfully not Bruce Willis-is-needed-to-save-the-day close. NASA stated yesterday it would be "so close that it will pass inside the ring of geosynchronous weather and communications satellites." They also note that it's the closest an object of this size has come to our planet without hitting it. In a complete coincidence, a meteorite struck central Russia last night. It's estimated to be 15 meters or 49 feet before impact. That's the largest meteor to hit Earth since the one that crashed into Siberia in 1908. That helps, but because I'm me I wanted to compare it to other asteroids. Fictional ones. And the first one I thought of is the rock that houses the space slug where the Millennium Falcon takes refuge from Imperial ships in The Empire Strikes Back. Here's what we know. The space slug, an exogorth, was freaking gigantic. 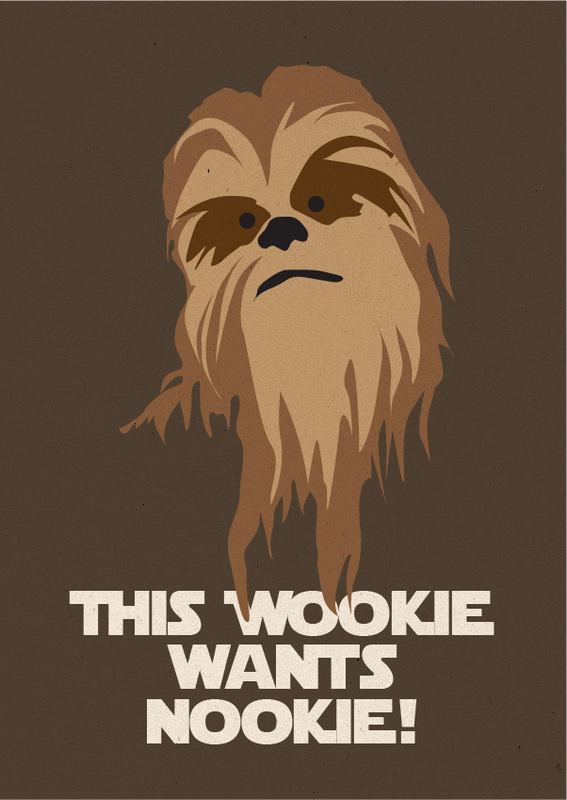 Wookieepedia refers to the The Essential Guide to Alien Species and The Wildlife of Star Wars: A Field Guide and states that due to the lack of gravity, the specimens of exogorth living in the Hoth asteroid field were the largest of the species. The one the Millennium Falcon unwittingly flew into is a whopping 900 meters (2,952 feet) long. See, freaking gigantic. We also know the the rock was one of the biggest in the asteroid field. 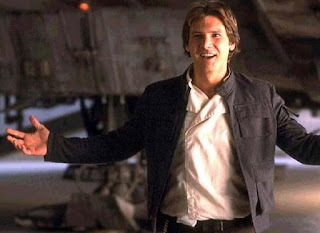 Han says, "I'm going in closer to one of the big ones." Finally, we know from the Millennium Falcon Owner's Workshop Manual that the length of the ship is 34.37 meters (112.76 feet). That fact isn't going to really help prove anything in my example but hey, trivia! Since the asteroid has to have room to accommodate the exogorth, we can guess a minimum size. It's hard to tell whether the slug has any portion of its body curled up or if it resides in the asteroid fully stretched out at all times. Just because the opening of the crater is cylindrical doesn't mean it doesn't stretch into a wider cavern farther down into the asteroid. 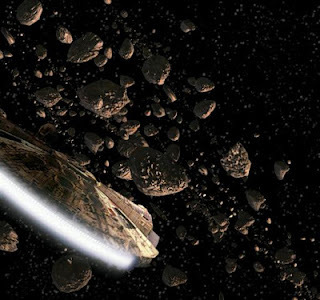 Based on what we've seen in the film and expanded universe material though, I'm guessing it's resting state is a straight line which makes the asteroid at least 900 meters long. That's .55 miles or 2,952 feet. 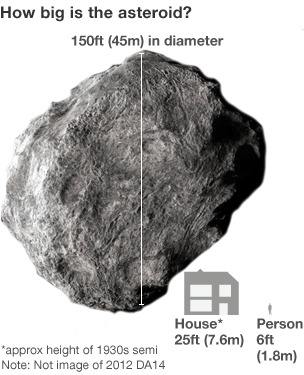 "Of these millions [of asteroids] fewer than ten are larger than 200 miles across. A larger number, about 250, are over 60 miles across. Most are 1/2 mile or less across." Jumping back to Han saying the asteroid he chose is one of the largest, I estimate the asteroid is between 0.55 miles and 200 miles. How's that for a ridiculous range? I'll leave it for now, but I bet if I watch the film and slow it down to take screenshots I can use the known dimensions of the Millennium Falcon to get closer. For science. Or something approximating science. Asteroid 2012 DA14 is 0.03 miles wide. The space slug asteroid is 0.55 - 200 miles wide. Slight difference. 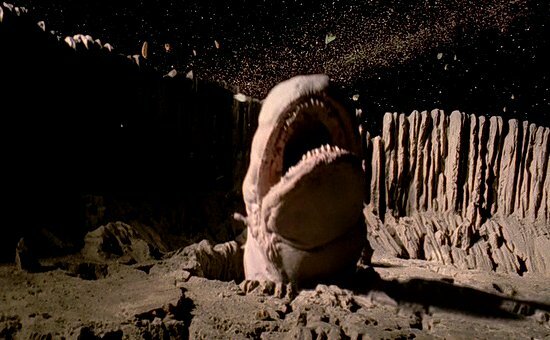 If a space slug asteroid comes anywhere near our planet, we're screwed. The end. The amazing and talented Bonnie Burton made a video for StarWars.com all about couples in the galaxy far, far away. She doesn't just stick to the movies either! She includes several characters from The Clone Wars. Awww! 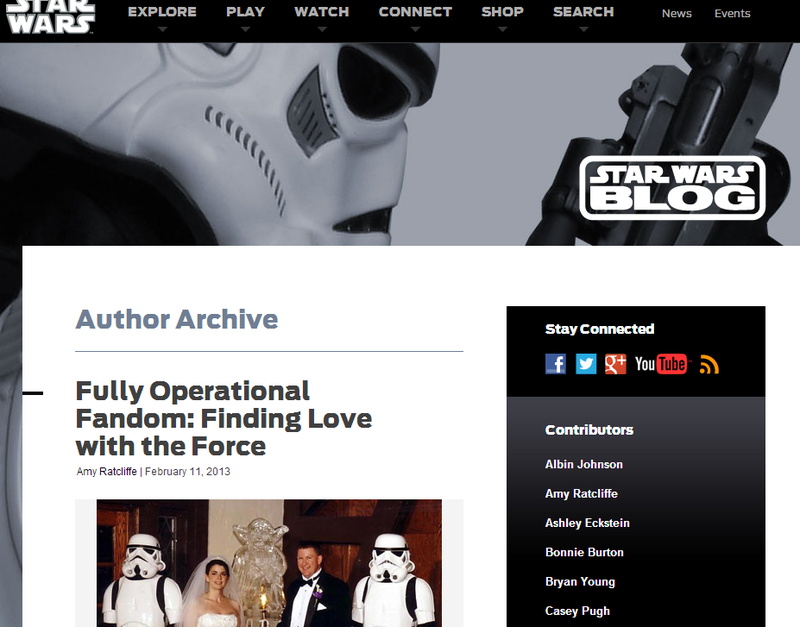 If that's not enough Star Wars love for you, go visit the StarWars.com blog and read Jen Heddle's post about why Han and Leia are perfect for each other. 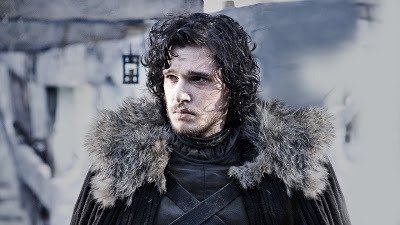 When I think about the advantages of being immortal, one pro is always at the top of my list: endless time to read all the books and comics I want to read and watch all the movies and TV series I want to see. Sure I would try to make the world a better place in whatever small way I could, but mostly I wouldn't leave the giant library and/or home theater I'd have. Seriously. The list of media I want to check out seems endless and because I have to strike a balance between working, writing, and working out (yeah, bottom of the priority list) I usually have to choose between reading or watching TV. I'm getting better at making room for both. Even though many would write off television as brainless and would recommend reading above it every time, I think both mediums can tell good stories and are worthy of my time. I've been transported by books. I've escaped into them and spent entire nights in my bed or on the couch with only a book, a blanket, and a cozy beverage. And sometimes a cat. Okay, usually a cat. I've whiled away weekends burning through a series I couldn't bear to put down. When I was younger, I used to be able to read in the car (it makes me ill now) and I would take advantage of every minute. I was the little girl with her nose continually in a book. Television series and movies have the same effect. 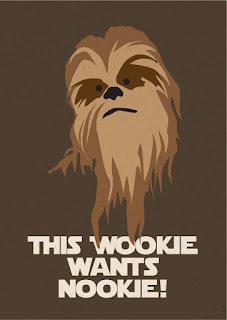 Star Wars, Firefly, Deadwood, and Battlestar Galactica. All have swept me up in their complex worlds and relationships. 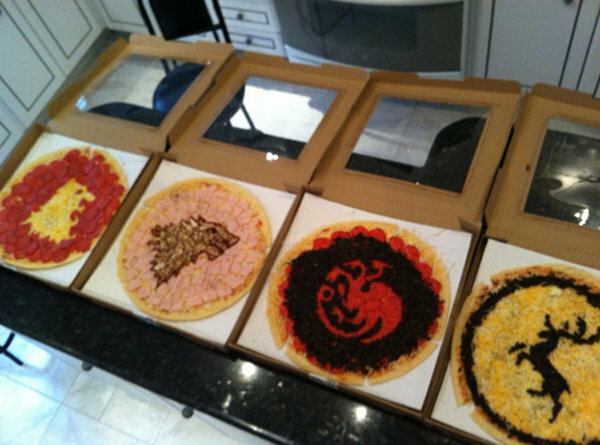 If I like a show, I binge-watch it. I hand over hours to on-screen media just like I do with books and though it's not quite the same level of immersion, it's close. Watching TV can be mindless. So can reading. It's all about your attitude and the material. As an aspiring writer, you can learn from both too. Books, comics, and television all have fantastic, wonderfully written stories and they also have horribly woven tales that are painful to read or watch. I might absorb new vocabulary and styles through the written word more than hearing it, but television writers can be damn good. Reference the above list and add about a million more to it. My point being, reading isn't automatically superior to watching television. I have a hard time deciding how to split my time between them and how to even give any time to either of them, It's easy to be lazy in my free time and catch up on sleep. But I know my unwatched DVDs and Blu-rays and unread books and comics will always be waiting for me and not knowing what happens in them is enough to keep me curious and plugging forward. Do you read more or watch TV more? Which do you prefer? The fourth Amethyst short aired on DC Nation on Saturday. We meet Prince Topaz, and there's a funny Zelda reference. I especially like that Amethyst introduces herself as Amy. She never loses sight of her human self in the comics, and it's neat to see it translated here. Be sure to check out the rest of 'em! 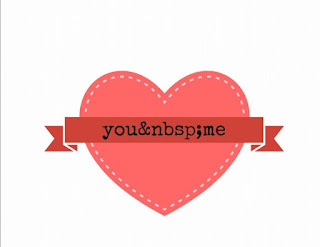 Geeky Valentines you can download today (for free)! It's too close to the 14th to order already printed cards from sites like Etsy, and I don't recommend going with the store bought options. There's only one place to turn at the almost-last-minute: downloadable cards! (Unless you are crafty and make your own). 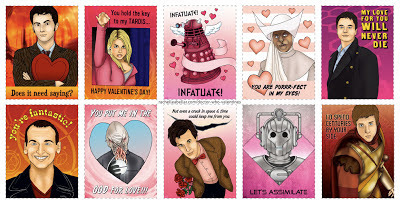 Rachelle Abellar has created a whole collection of awesome Doctor Who Valentines. You can download and print them for free, but if you like her work, you also have the option of donating! 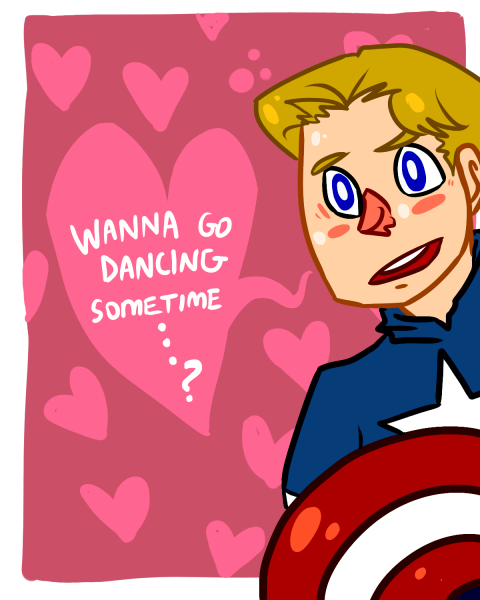 Karina has shared a whole bunch of Avengers, Sherlock, and Supernatural Valentines at Tumblr. 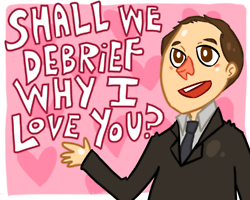 They're not downloadable, but you could print some for personal use! Are Han Solo and Boba Fett and Yoda films in the works? All the rumors! This just in: every character in the original Star Wars trilogy is getting a spinoff movie! See, I can play the rumor game. Of course, my sources aren't anything like the ones Ain't It Cool News and Entertainment Weekly have so take my word with reservations. 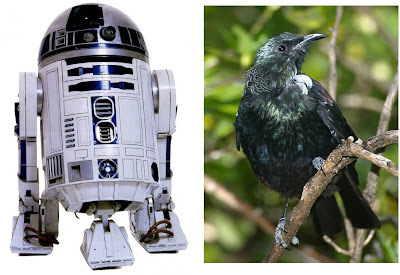 Two spinoff films, two characters. Ain't It Cool News says the first one is about Yoda, Entertainment Weekly says they're about a Young Han Solo and Boba Fett. That adds up to three characters. AICN doesn't mention a source, EW lists "sources close to the project." Oh, rumors. You're so... numerous. And unconfirmed. Forget examining the gossip. I want to start a betting pool to see which sites report correct news. I bet the Hutts would approve. Seriously though. I'm excited about the Star Wars buzz in the air, but do you remember that scene in The Avengers where Hulk throws Loki around like a rag doll? I'm starting to feel a little bit like Loki. Not because I'm not jazzed about new material in the galaxy I love the most - I am - but I'm also getting worn down by the way the media takes these damn near daily rumors and reports them as true. I mean, reference the above craziness from just three days. Three days! Everyone gets really wound up and forgets about it a couple of days later. Remember how some were so sure the Zack Snyder Star Wars / Seven Samurai gossip was true? I have feelings about all of the potential candidates for standalone films. 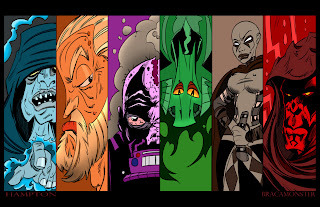 I will gladly discuss them and speculate and have fun but again, I'm not pretending it's a sure thing until Lucasfilm or Disney confirms it (Club Jade has a wonderful post about just that). I won't report it that way, and I wish a lot of others wouldn't. More on me discussing Star Wars rumors. In honor of Star Wars: The Clone Wars being especially awesome over the last few weeks, I decided to scour Etsy in search of handmade goods inspired by the series. I know, it's dirty and distasteful work but someone has to do it and I even resisted purchasing everything - for now. 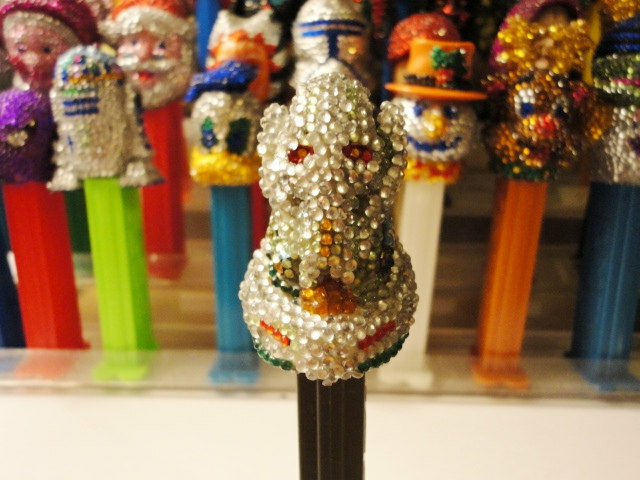 Yes, that is a bedazzled General Grievous Pez dispenser. Who would have thought I'd ever be able to use the words "bedazzled" and "General Grievous" in the same sentence?! That, my friends, is the magic of Etsy. 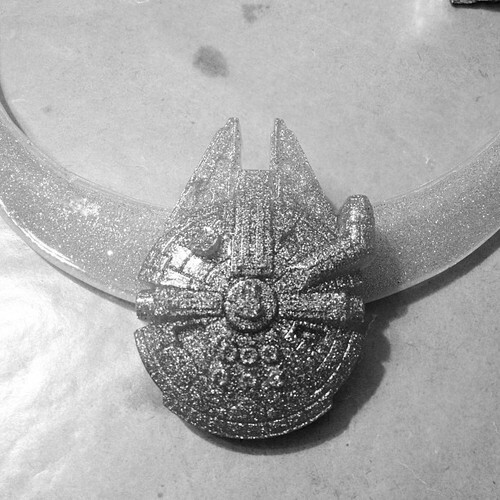 Sparkly Grievous is $20 from FantastiCollectibles. 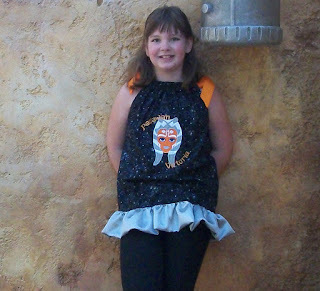 Just a few fabric prints have been made featuring designs from The Clone Wars, and I think this ruffly dress with a sweetheart neckline is a perfect use for the bold fabric. It's perfect convention attire. Get yours from SweetHeart Clothing for $135. 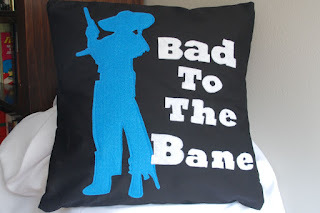 Cad Bane may be bad news, but that doesn't mean he doesn't make fabulous living room decor. This Bane pillow is one of my favorite finds (by the way, when people talk about Batman this is the Bane that comes to mind - it's confusing). 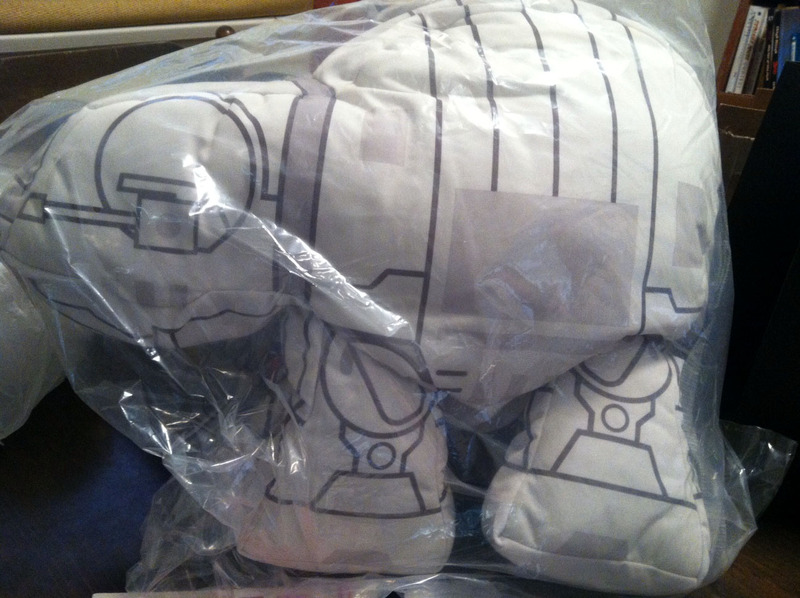 Rest your head on Bane for $40, pillow crafted by Love With Faith. All but one of the Siths featured on this print are featured in The Clone Wars, and I call that close enough to count. The style of the art makes me think of Genndy's version of the cartoon - which I also adore. Get a print from Hampton Art Shop for just $5. 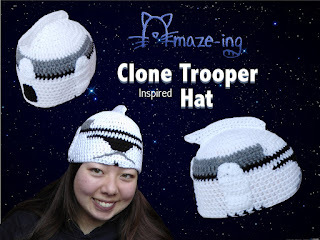 Show your support for the Clone Troopers with this crochet hat! We don't know for sure that order 66 was their fault, and they served the Jedi well until then. If nothing else it will keep your head warm. It's $35 from Amaze-ing Hats. 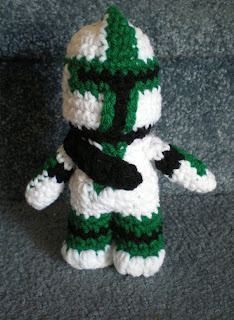 Haven't you always wanted to cuddle Commander Gree? Luminara won't mind sharing. This little guy is made to order by Joy's Dolls and More for $15. This adorable Ahsoka Tano pillowcase top with a customizable Padawan name is too much. I like the colors and design, and I wish I knew a Youngling who I could order one for as a gift! It's $33.95 from Stitches N Bows. As you can see, I found a nice variety of listings, but there still need to be more choices available (though I think that goes for Clone Wars merchandise in general). I sadly didn't come across many Ahsoka-centric items. If you make anything Clone Wars related, please let me know in the comments!